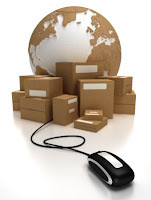 I received a convo recently asking me whether I am interested to go into a drop shipping arrangement. My first reaction was, "What is Drop Shipping Arrangement?". After googling and investigation on the Etsy forums... Here's what I found.. I also found some help in the following thread on the Etsy forum. Retailer lists my item (use my photos) on his/her website. The customer will order from the website, he/she will in turn place an order on my Etsy shop. She will pay me for the item. I will send to her head office. She will send the item to the customer. Basically I do not have directly contact with the customer. With regards to the stock of the items, I will also keep her posted on the quantity in case I have sold out the item. What do you think of "drop shipping arrangement"? What do you think of my arrangement? Personally, I think it would give it a go since I have not done it before. In directly, the retailer would be like any of my customers. By listing on his/her website, it gives me some promotion and advertising exposure online. I have never heard of this. I hope it works out for you. Thanks for coming by to enter my giveaway. I think I've heard of drop shipping via some online consignment shops, but have never done this myself. All the best with it Piggy! I too was offered this arrangement. I agreed for select items where I could give the discount, but I'm to send direct to the buyer and include the shop literature with mine. I haven't started yet, but hope to soon. I hope we both have luck! Margaret, BlackRose - Thanks! I hope it works out too! I used to do something like this when I lived in NYC and had my fashion line. I made a TON of sales doing it. It's definitely a good thing and better than consignment or wholesale, IMO. The website I was on was promoted by the site owners and was visited by lots of fashionistas, celeb. stylists, etc.... So, I got a lot of exposure. I was sent the order from the site when I had a sale. I shipped directly to the client and then received a check from the site. The site took a small commission, but I still made most of my money and I didn't have to sell at wholesale prices.